There are four different components to this design. The Hardware: The hardware can be seen below. The hardware is comprised of the LED’s, Analog Inputs, Pushbuttons, and the Arduino. 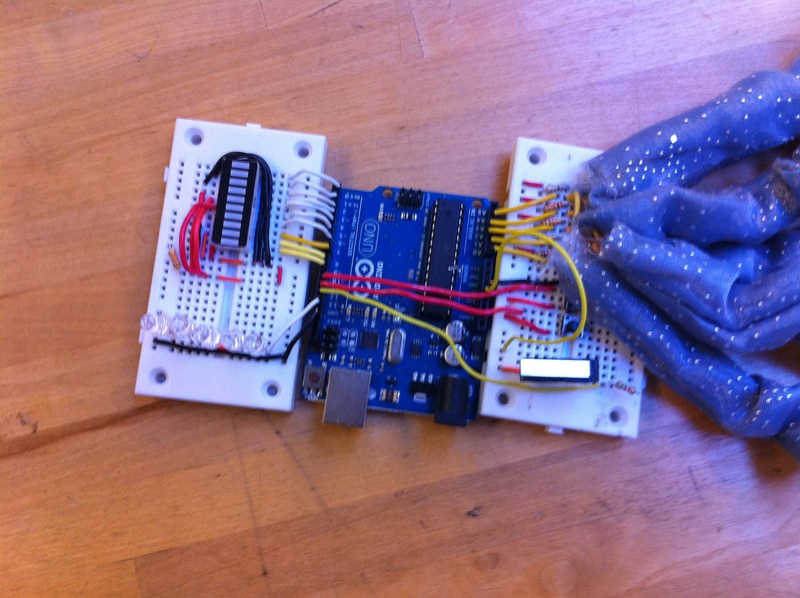 The purpose of the hardware is to gather inputs and relay outputs. 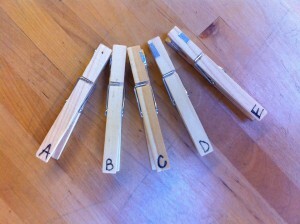 The Inputs: The inputs are clothespins. 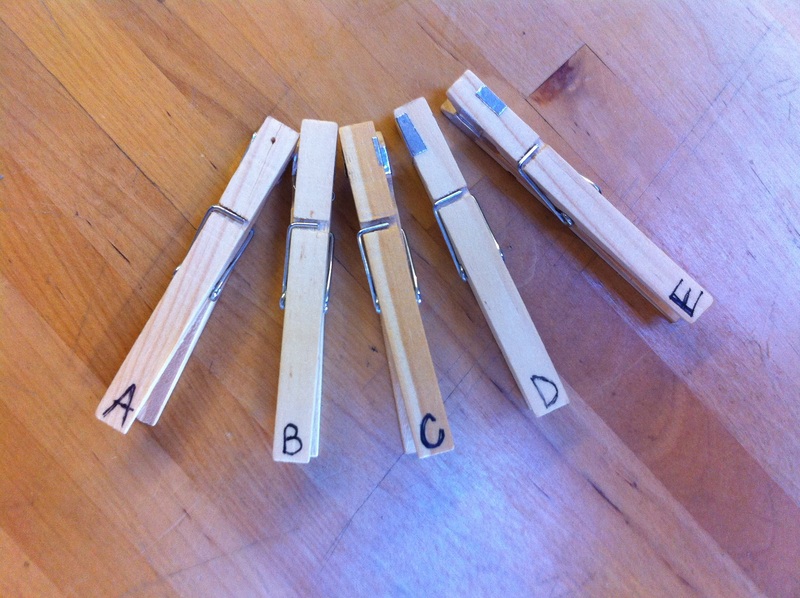 A resistor of different level is set into each letter (A, B, C, etc. ), this way the hardware and code can detect if the answer is correct. 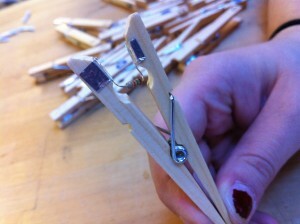 Below are a few images of the clothes pins.